Winter is upon us, which means that we will all be huddled up indoors for the next few months. That means this is a good time to make sure the air you’re breathing is healthy and refreshing. Here’s how! One thing to look for when trying to find an air filter is the MERV (Minimum Efficiency Reporting Value) rating. The higher the rating, the more efficient the filter is. MERV ratings range from 1-20. Residential filters usually top out at MERV 8. For reference, MERV 13-20 are usually used for hospitals and pharmaceutical factories. Here’s a table for full details. Purolator has all the air filters for your commercial and residential needs. 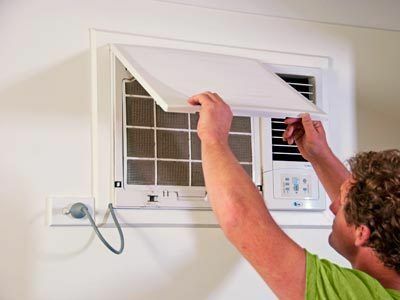 Dirt and dust builds up overtime which means that the longer you go between changing filters, the more likely it is that the air you breath in your own home may be unhealthy. Be sure to inspect your filters once a month and plan on changing them every 3 months. Air deodorizers recycle the air in your home or business, removing odors to help keep what you breath fresh and healthy! One of the best in the air deodorizer business is Newaire. They offer a variety of purifiers, from small plug-in units for rooms and cars, to large units for larger areas. Best of all, there are no dangerous chemicals involved! Having pure air is great, but giving it a pleasant scent is even better! With the holiday season upon us, a good air freshener can really make your home extra inviting for your loved ones. Claire offers a wide variety of scents. You can even grab a dispenser and have the scent sprayed at timed intervals! Just be sure to grab a metered spray can if you do.